Back row forwards Tom Duncan and Matt Bolwell have signed new contracts with Championship side Cornish Pirates. 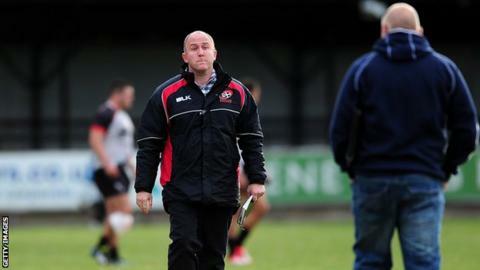 The announcement comes after director of rugby Ian Davies, who will leave at the end of the season, said he intended to finalise the squad this week. The Pirates currently sit eighth in the 12-team Championship. "Tom had a bad injury last season but he's certainly showing the form that he had at Redruth a good few years ago," Davies told BBC Radio Cornwall. "He's developing into a leader as well, and I wouldn't be surprised if, because of his age and physical attributes, a few Premiership teams take notice of him next year."